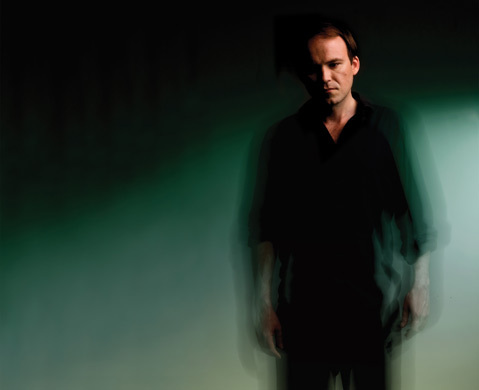 The second play in this season’s NT Live series is <em>Hamlet</em> directed by Nicholas Hytner. Shakespeare’s plays have an uncanny ability to always seem timely. So it’s not surprising that the National Theatre’s (NT) new production of Hamlet, which will be digitally beamed from London to both Montecito and Goleta next week as part of the NT Live series, contains echoes of current events. In this modern-dress production, Denmark is a police state threatened by external and internal forces. The populace—including the prince, who is reeling from the sudden death of his father—is constantly under surveillance. Given the current controversy about privacy, security, and airport scanners, the visual motif of electronic monitoring devices promises to deliver some shivers. Then there’s the play’s central dilemma, which is oddly reflective of our current national politics. Hamlet is a rational young man who is forced to face the reality of a world driven by irrational fears and desires—a place where powerful people plot to assume positions of yet greater power. As he gradually realizes through a series of soul-searching soliloquies, his belief in reason and reasonableness is clearly not cutting it; a bolder, less-cautious course of action is clearly called for. Substitute “president” for “prince,” and it quickly becomes clear not much has changed in the past 400 years. As Norman Rabkin puts it in his classic study Shakespeare and the Common Understanding, “The play presents an ideal, that of reason, in such a way that we must recognize its absolute claim on our moral allegiance, and then entirely subverts that ideal by demonstrating that its polar opposite is the only possible basis for the action its protagonist is morally committed to perform.” A man of reason is driven by dark passion to become a man of action. Is he losing himself in the process—or finding himself? We have been blessed, Hamlet-wise, in recent years: Jenny Sullivan directed a strong production at the Rubicon Theatre in 2007, and Jessica Kubzansky created a sweeping, thrilling staging at Ojai’s Theater 150 in 2009. But of course, London is never lacking in Hamlets, and the city’s top critics have given the new National Theatre production high marks. It was staged by the company’s artistic director, Nicholas Hytner, a veteran of theater, film (The Madness of King George), and opera (his new production of Verdi’s Don Carlo for the Met, which has also received critical acclaim, will be simulcast in Hahn Hall on Dec. 11). Modern-day Iran, perhaps, with its clash of realpolitik and religiosity? As always, Hamlet reflects our world in multiple ways. Whether it’d be wise to catch this production isn’t really a question at all. UCSB’s Arts & Lectures presents National Theatre Live’s Hamlet at 7:30 p.m. on Monday, December 13 at Hahn Hall, on the campus of the Music Academy of the West, and at 7:30 p.m. on Tuesday, December 14 at UCSB’s Campbell Hall. Tickets are $18 ($10 for UCSB students). Call 893-3535 or see artsandlectures.sa.ucsb.edu.